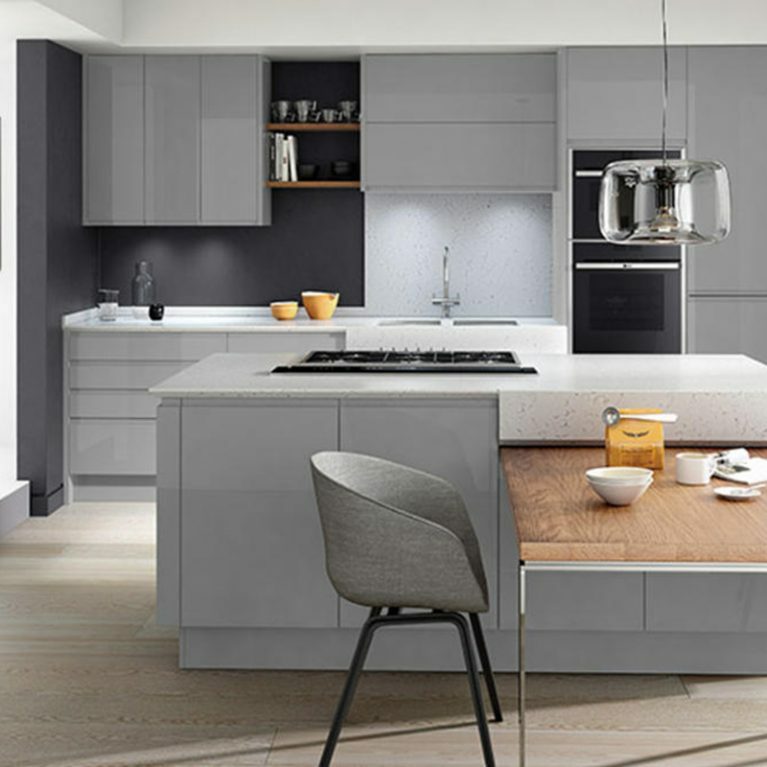 Few kitchen design screams offer as much of a cool and contemporary vibe than those that centre on a glossy white foundation. 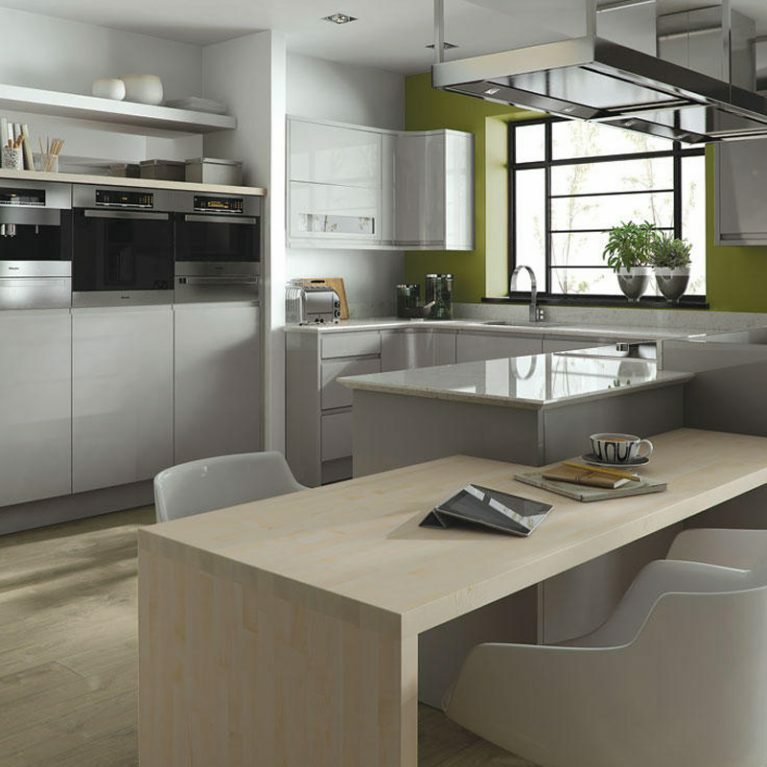 That’s why the Remo Gloss White is such a popular choice for those who want a kitchen design that is effortlessly stylish and modern. 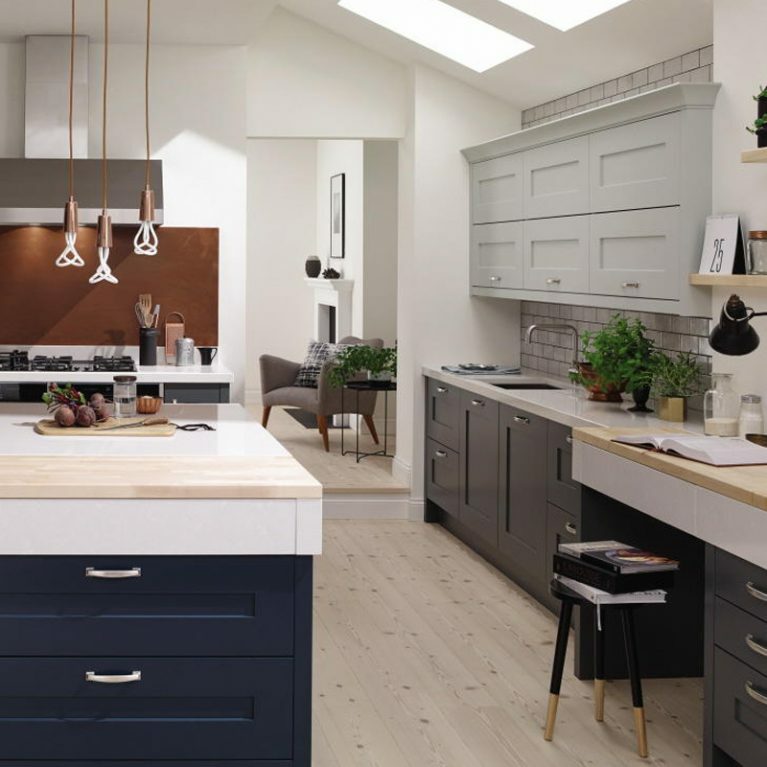 This incredible contemporary kitchen is built with a classic shaker-style design, encompassing as many storage opportunities as possible to ensure that all of your kitchen accessories and tools have a home. 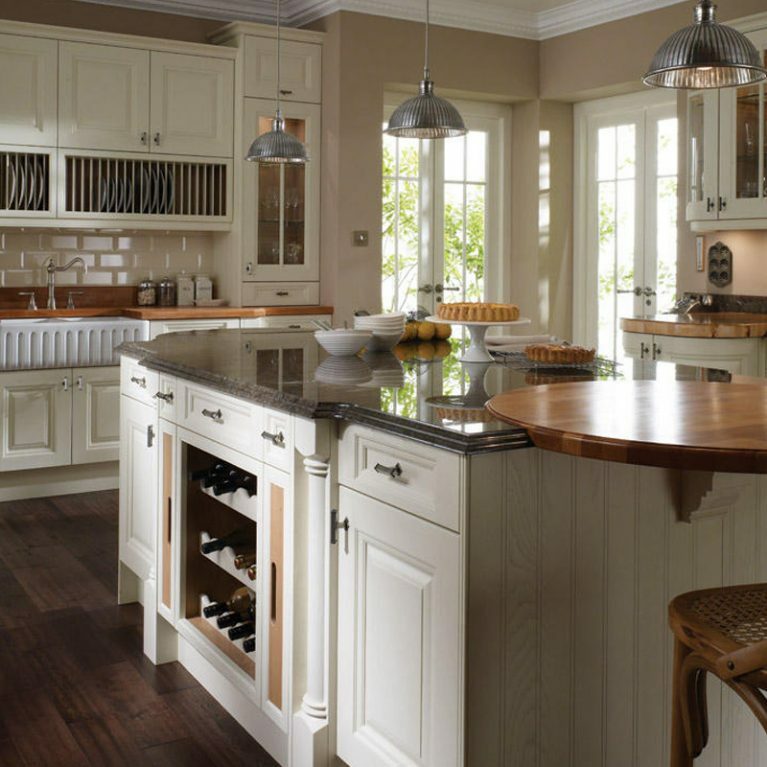 This will help you to maintain the flawless upkeep of your clutter-free kitchen in style. 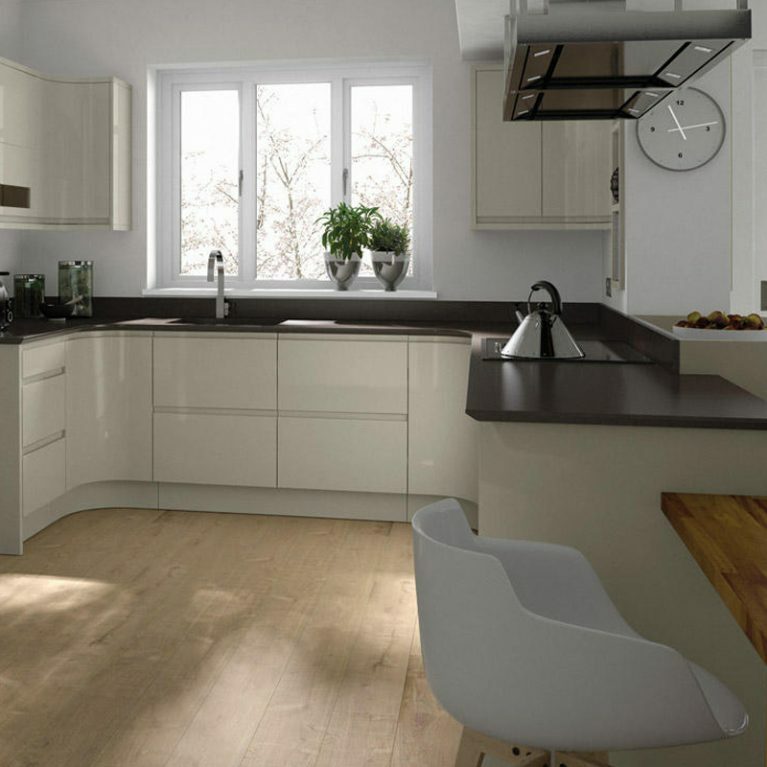 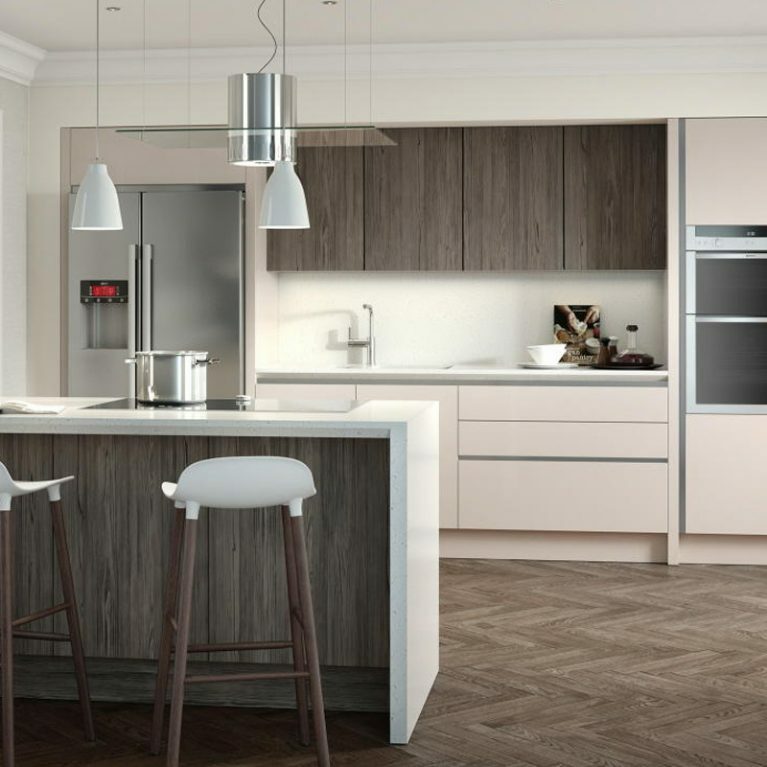 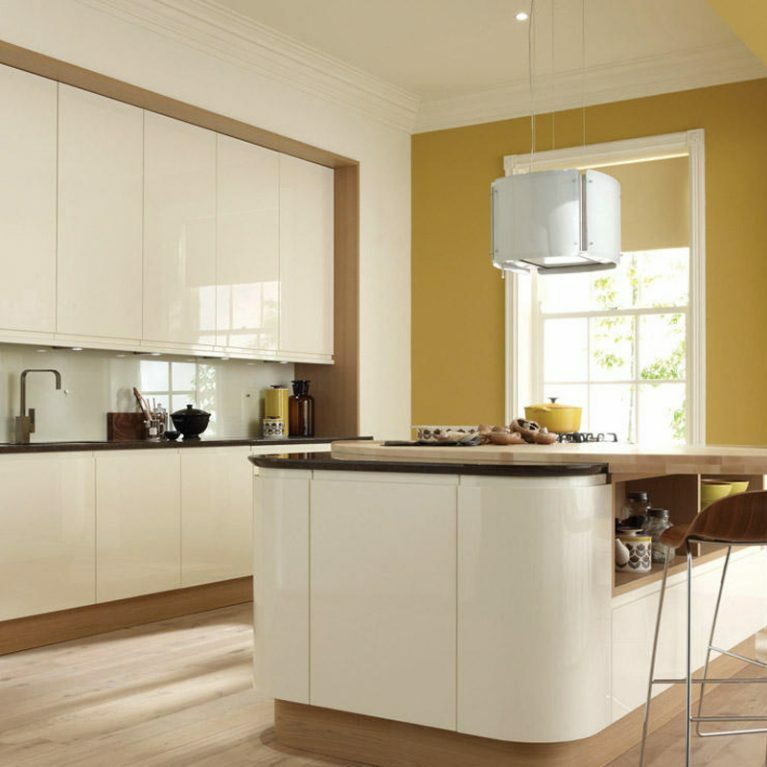 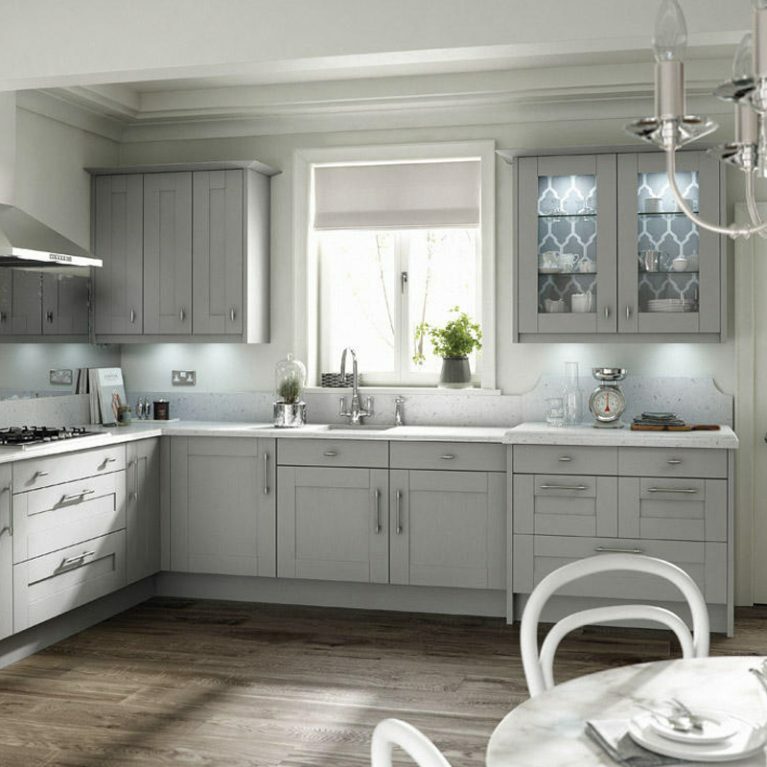 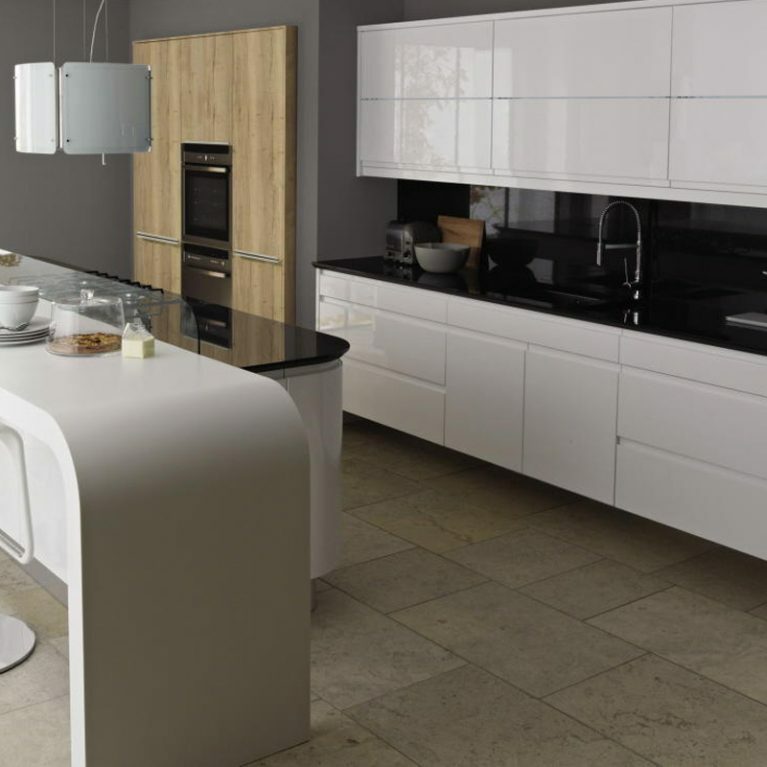 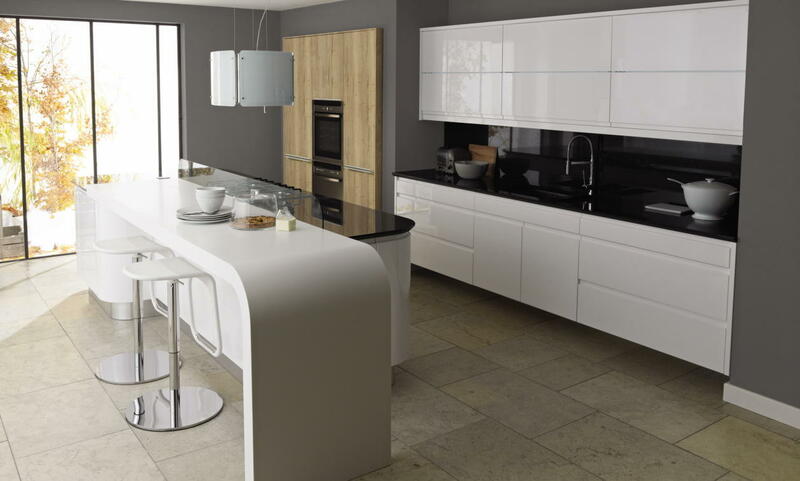 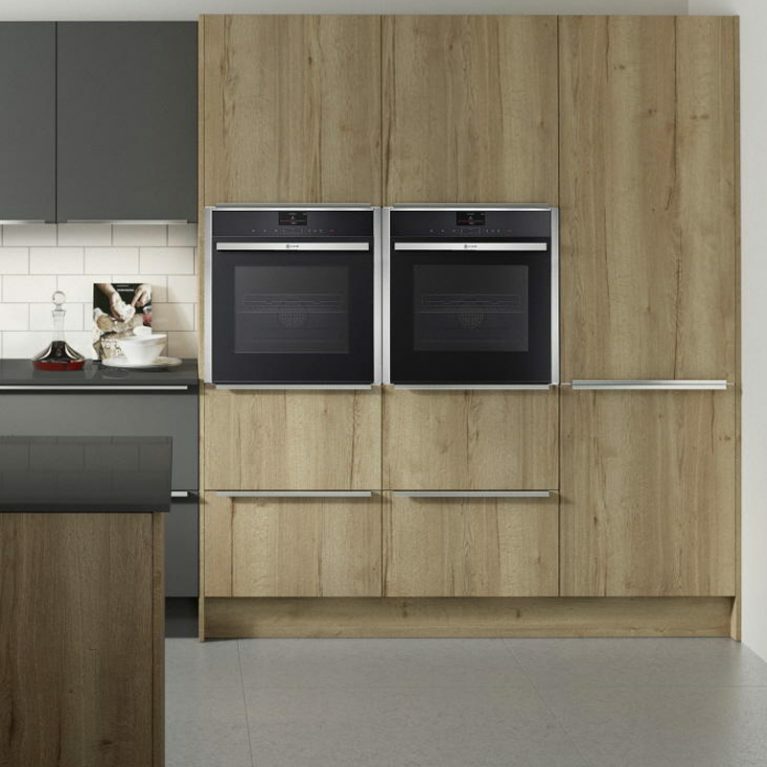 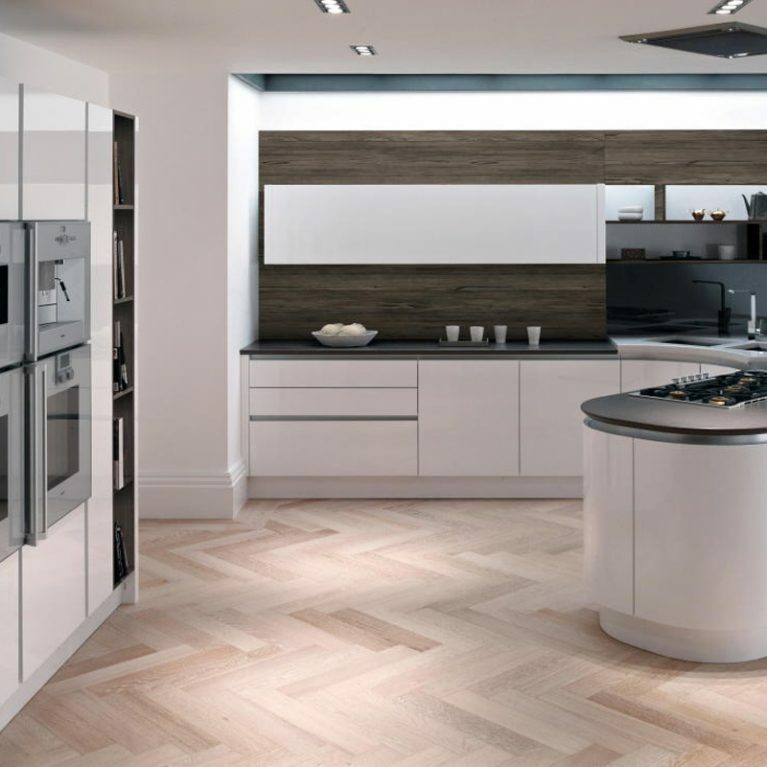 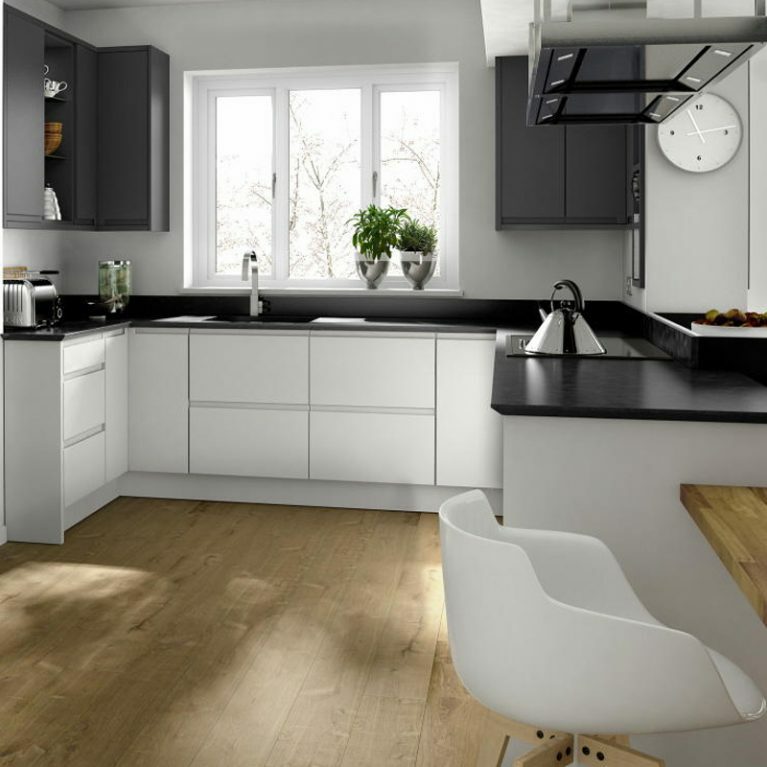 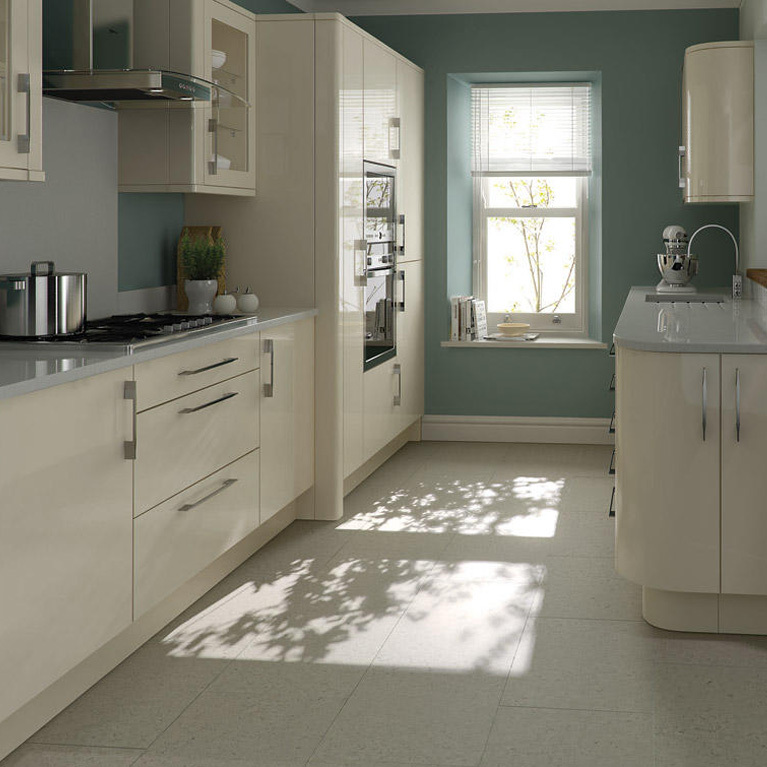 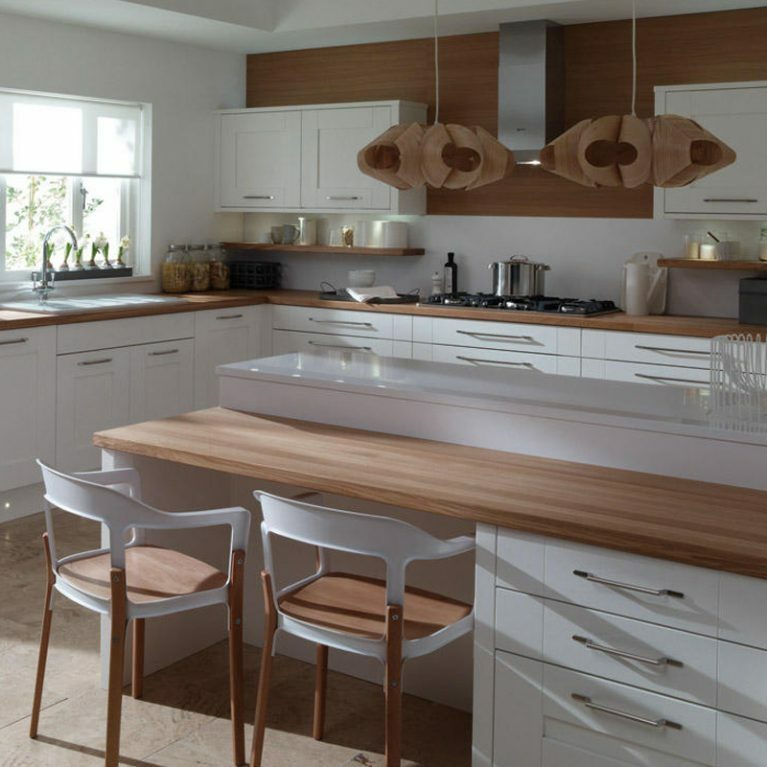 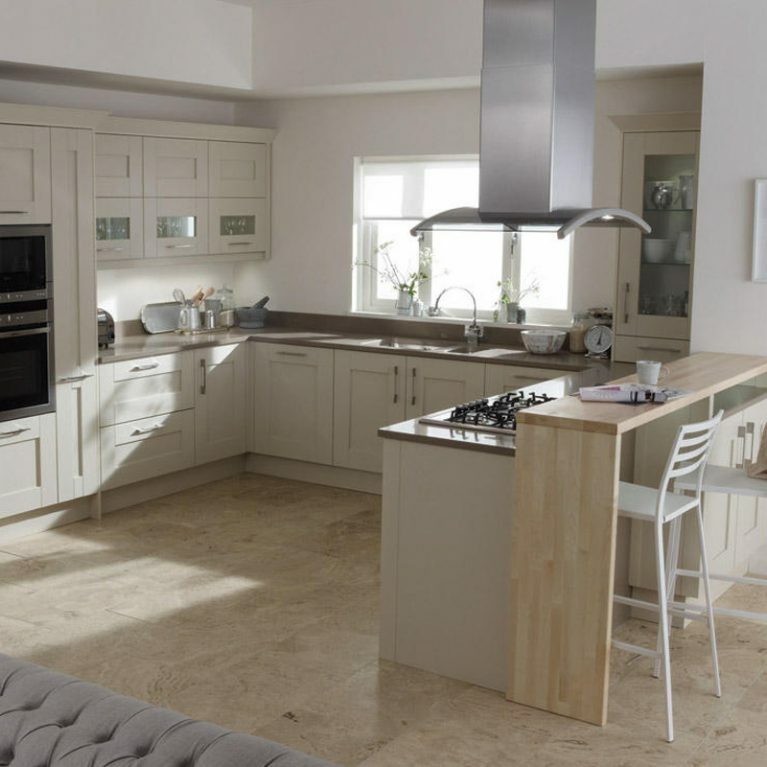 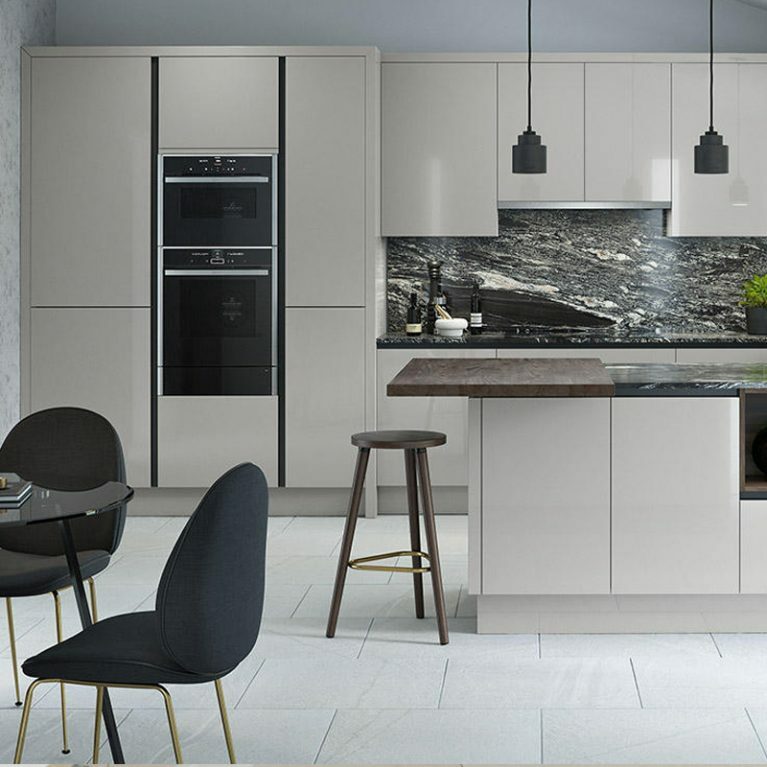 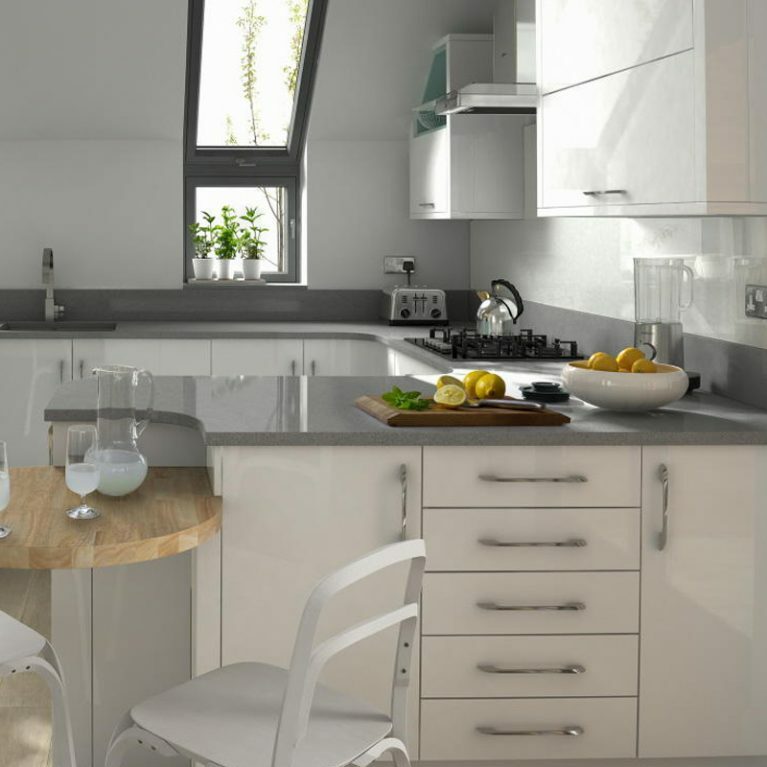 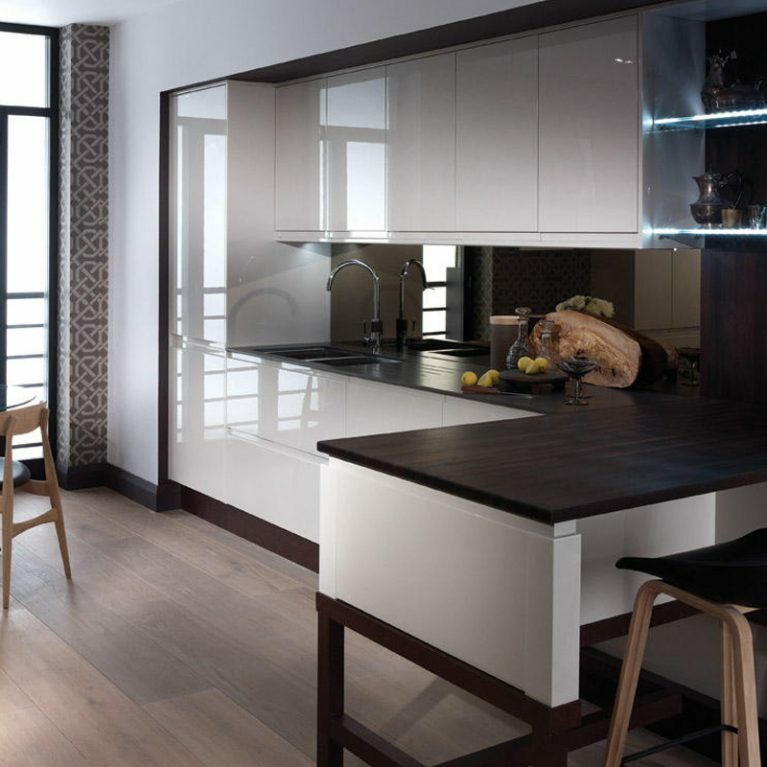 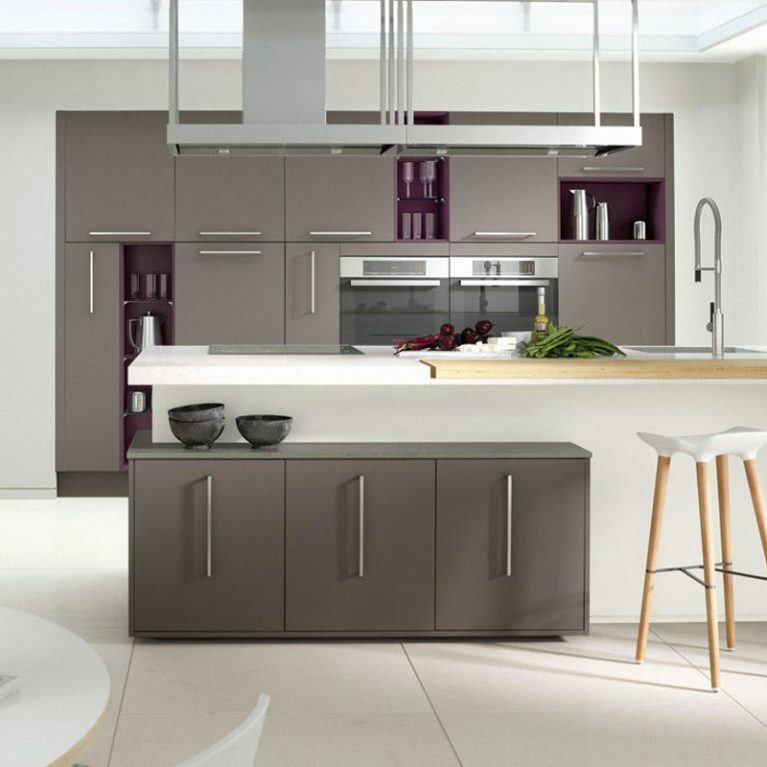 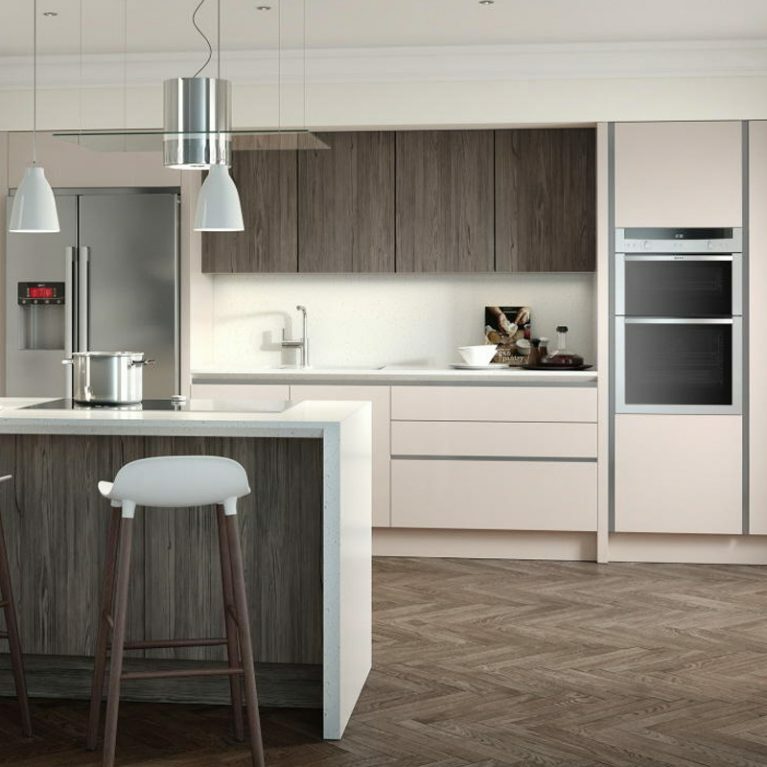 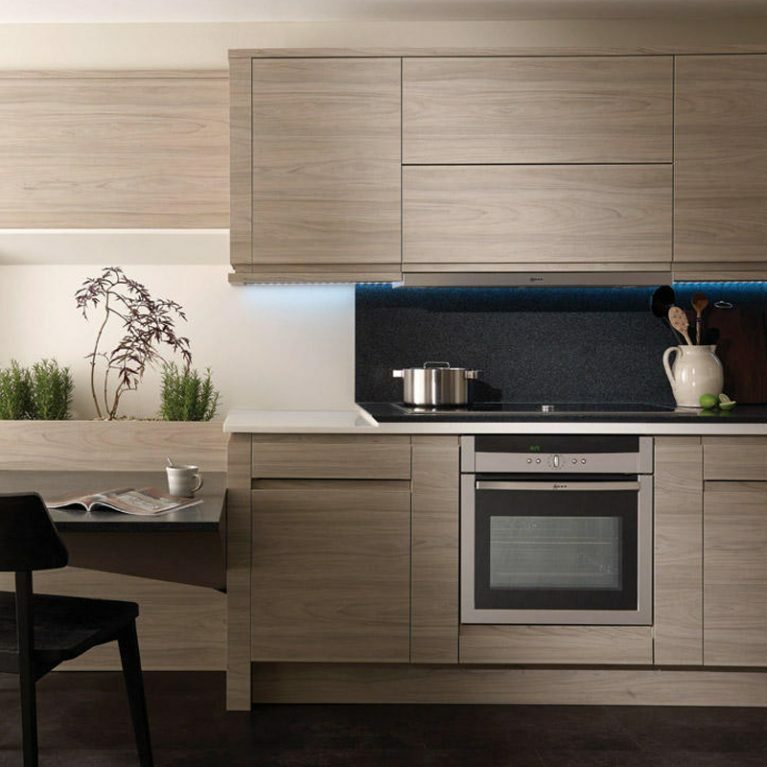 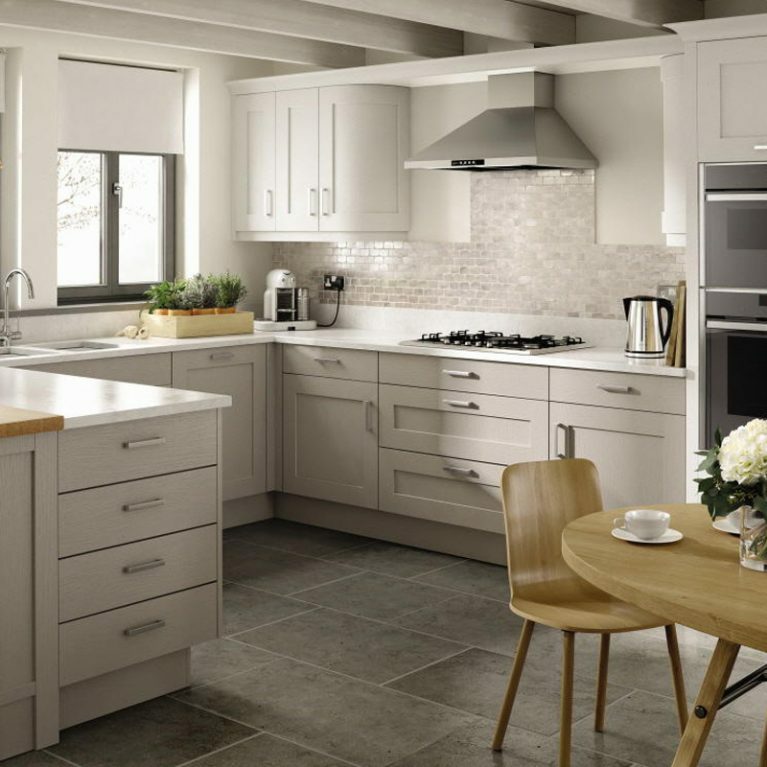 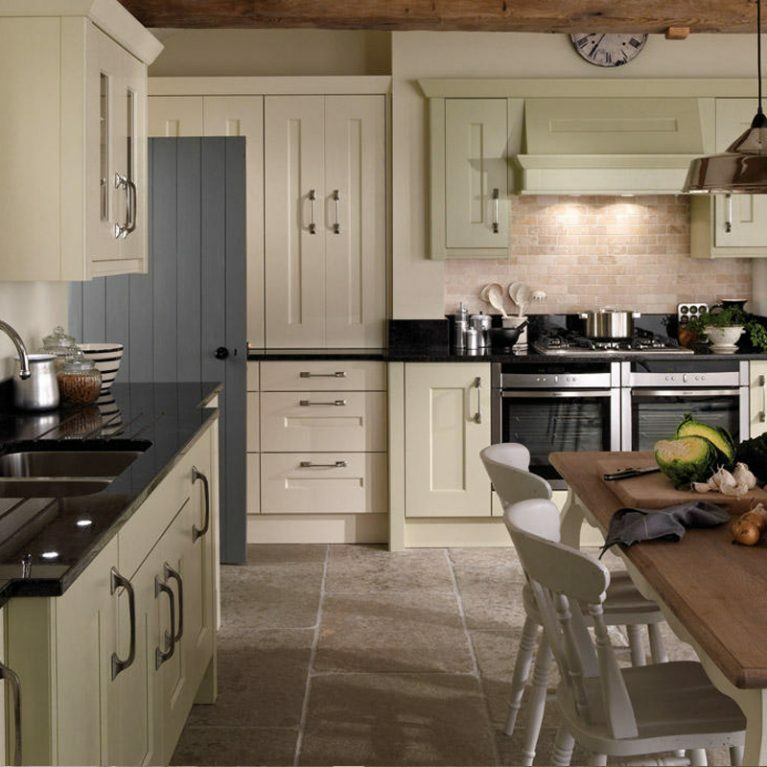 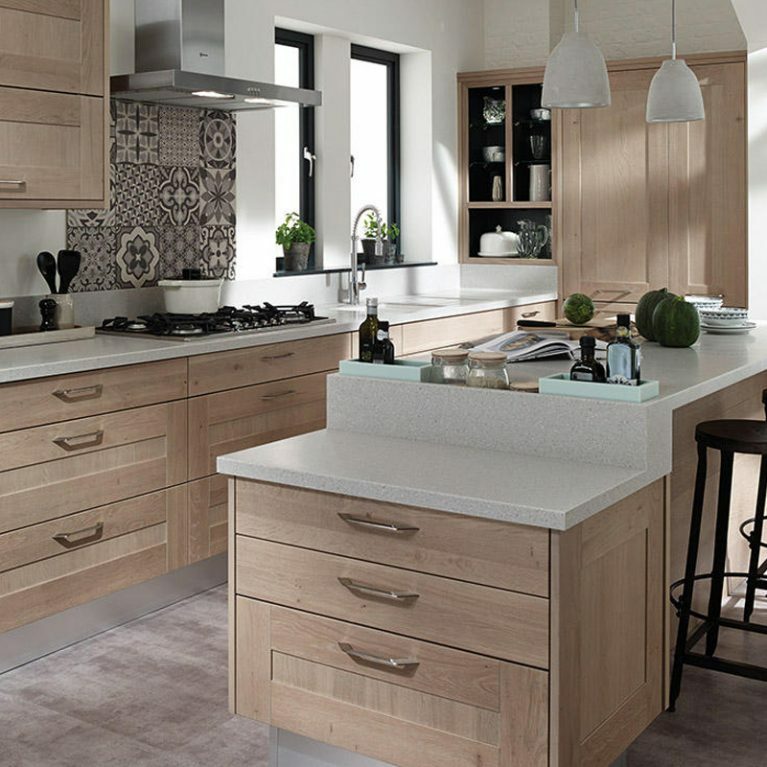 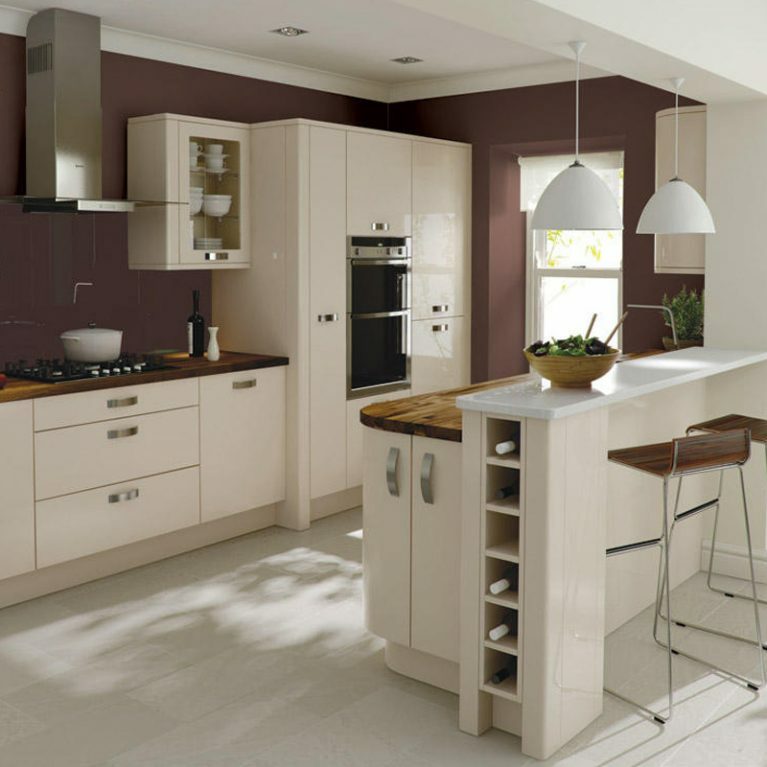 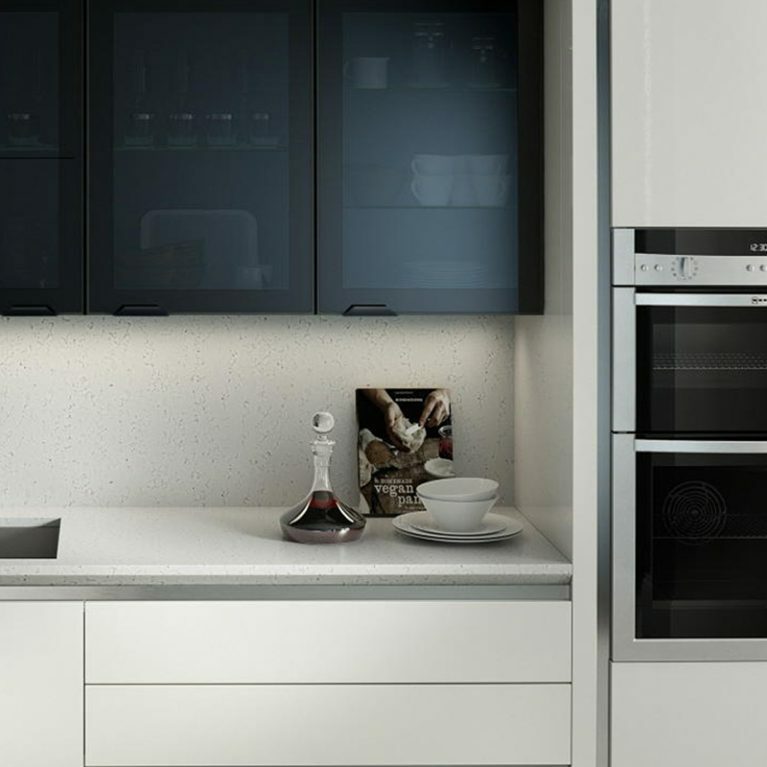 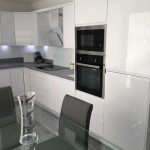 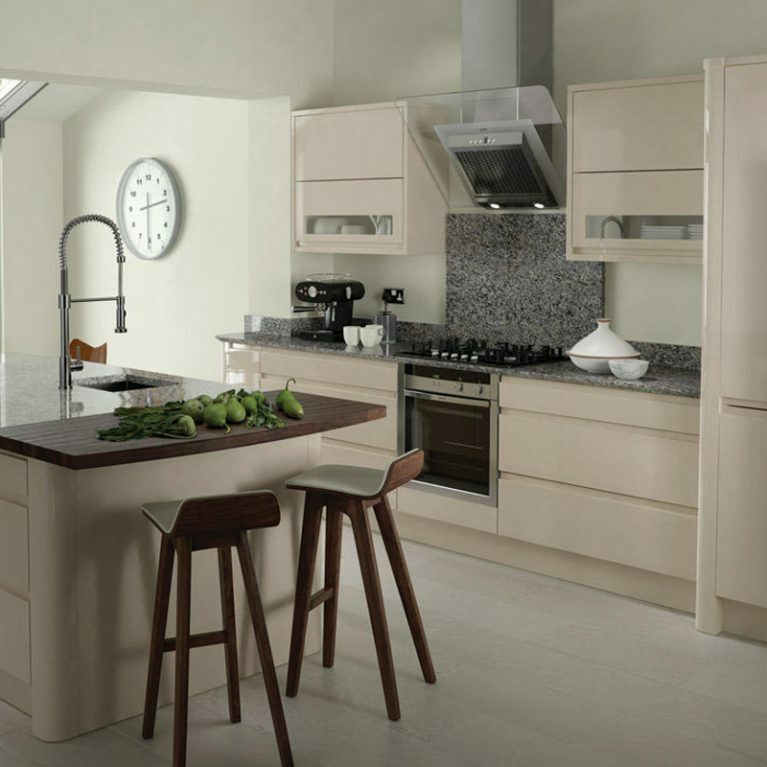 The Remo Gloss white contemporary kitchen has cupboard doors which are finished with a high-gloss lacquered end result. 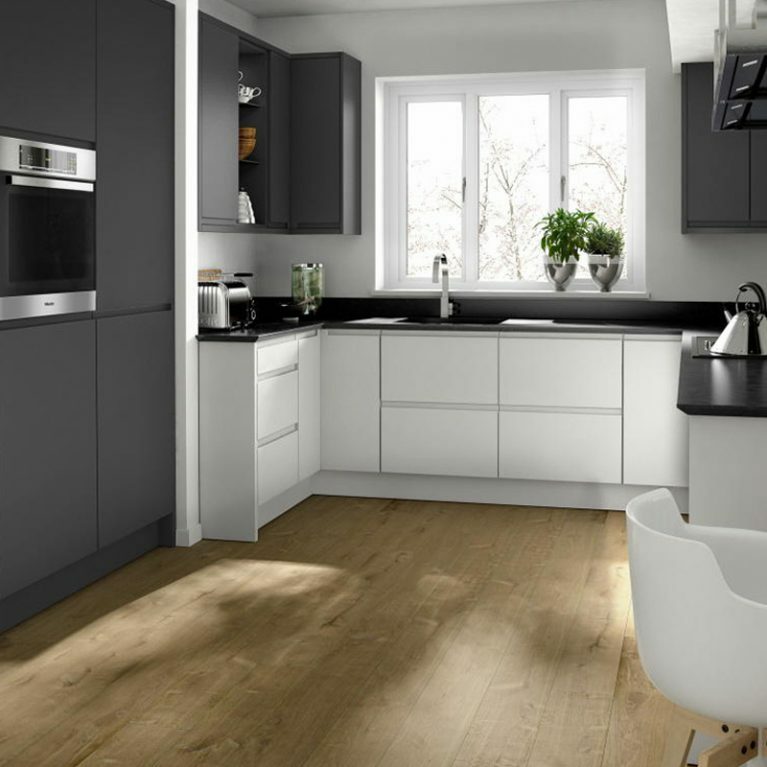 The shiny finish plays with the light within your kitchen space, adding a beautiful and airy atmosphere to your space and making the room appear bigger. 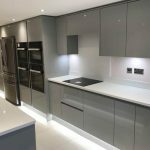 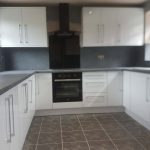 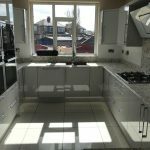 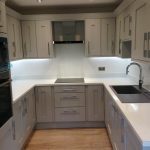 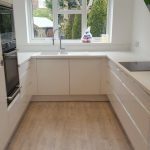 As you can see, the Remo gloss white contemporary kitchen has been finished with cupboard doors that have a built in handle here. 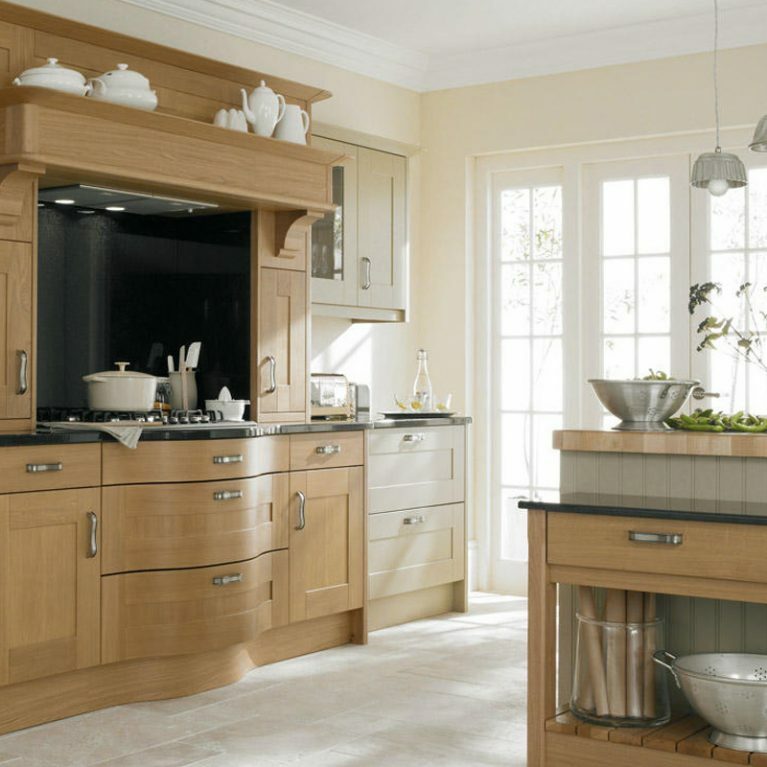 As opposed to an external handle, the handles here are easy to use, without affecting the smooth and seamless finish of the cupboard doors. 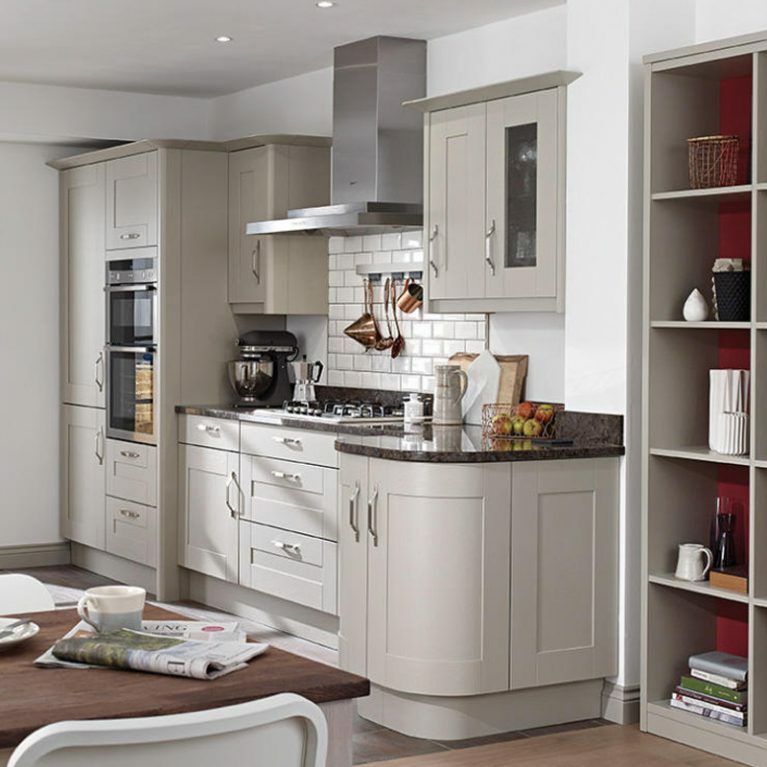 Upper and lower cupboards are featured in this design, offering you a multitude of storage options. 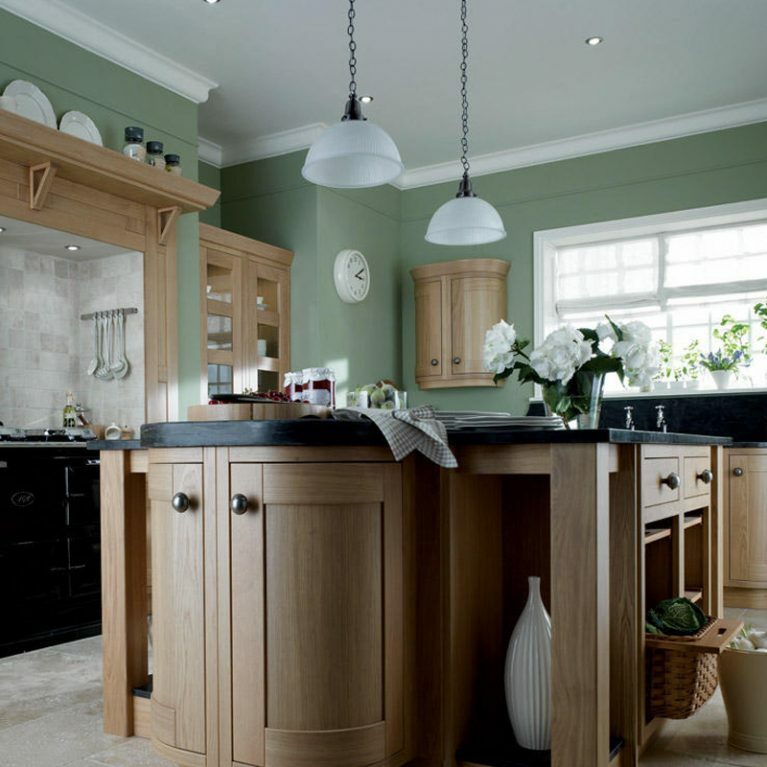 Finishing the design is a wonderful kitchen island. 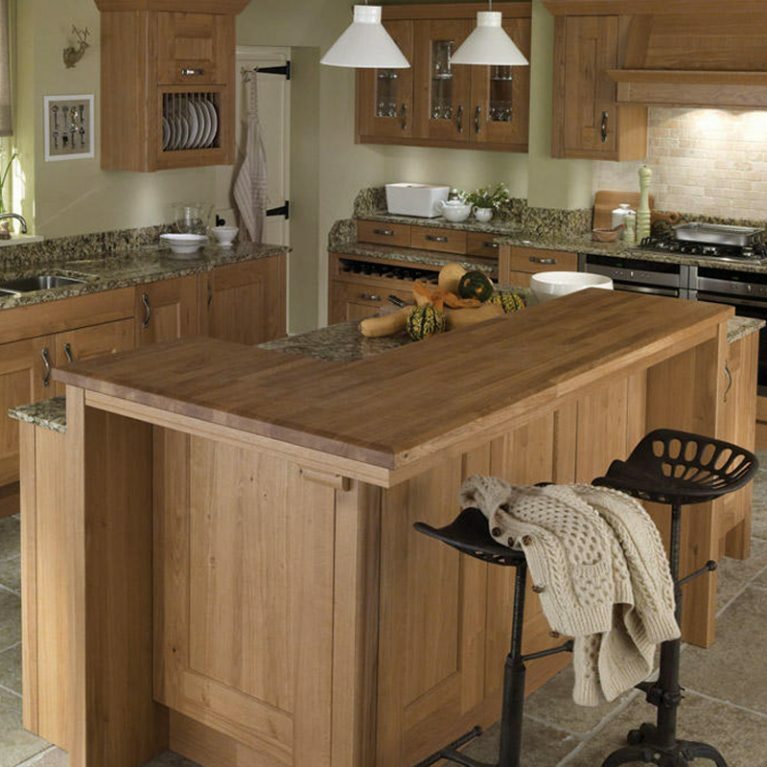 This extra work surface creates a space for food preparation and entertaining. 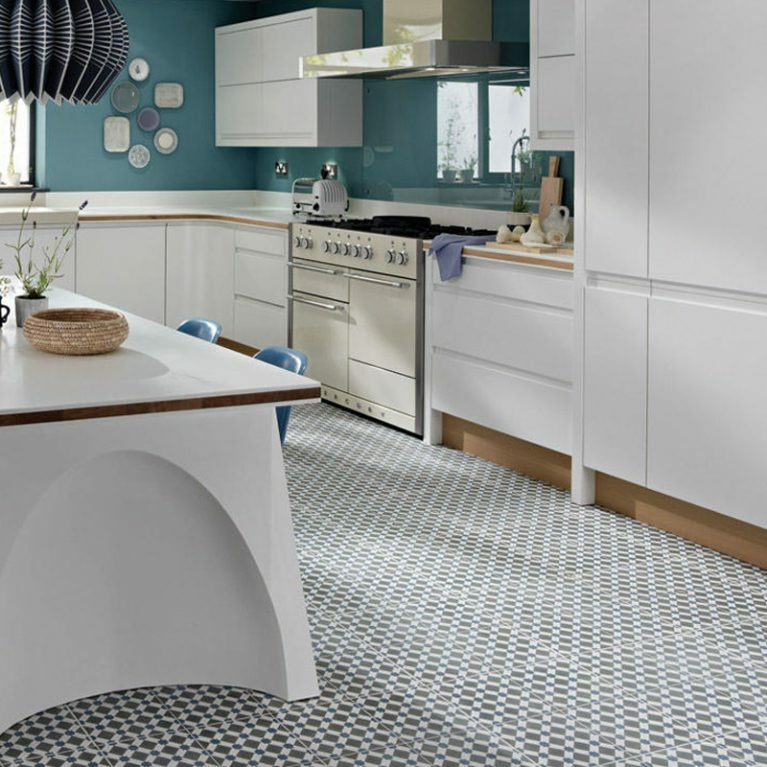 Popping some stylish bar stools alongside your peninsula will create the perfect space for dining too, ensuring your surface is versatile. 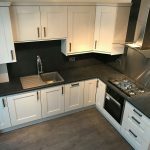 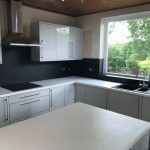 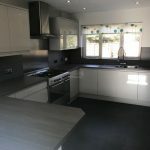 Glossy black work surfaces have been chosen to finish the design off, creating the most perfect contrast to the white cupboard doors. 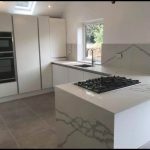 You can opt for a similar design, utilising a light and dark colour scheme, or perhaps opt for white work surfaces to create a seamless look. 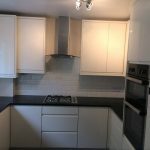 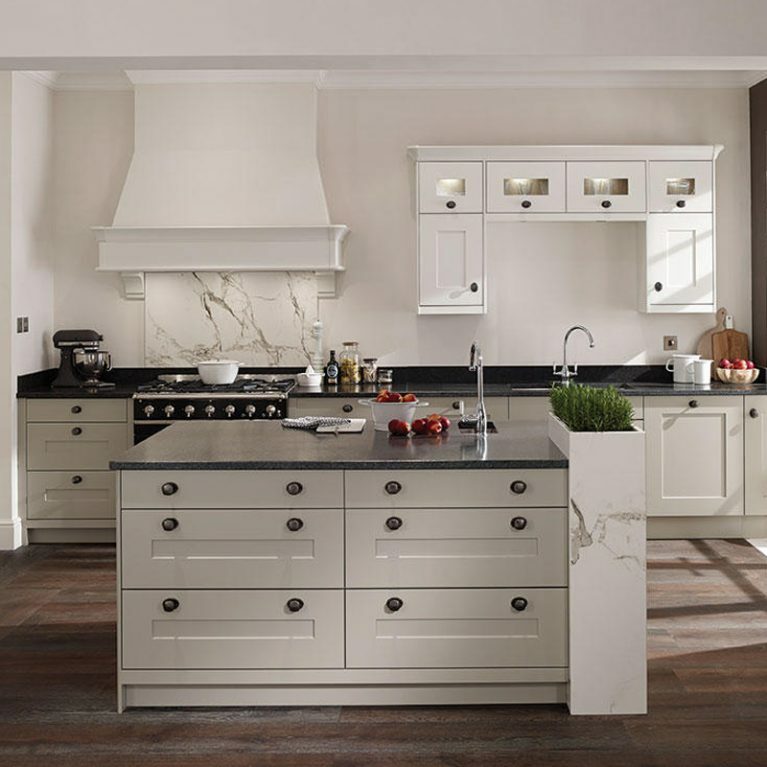 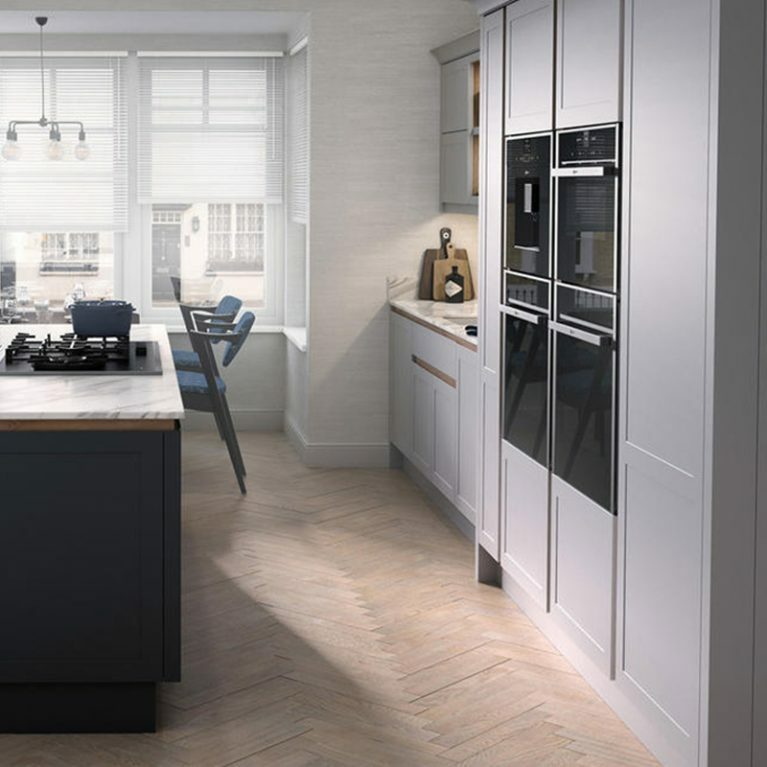 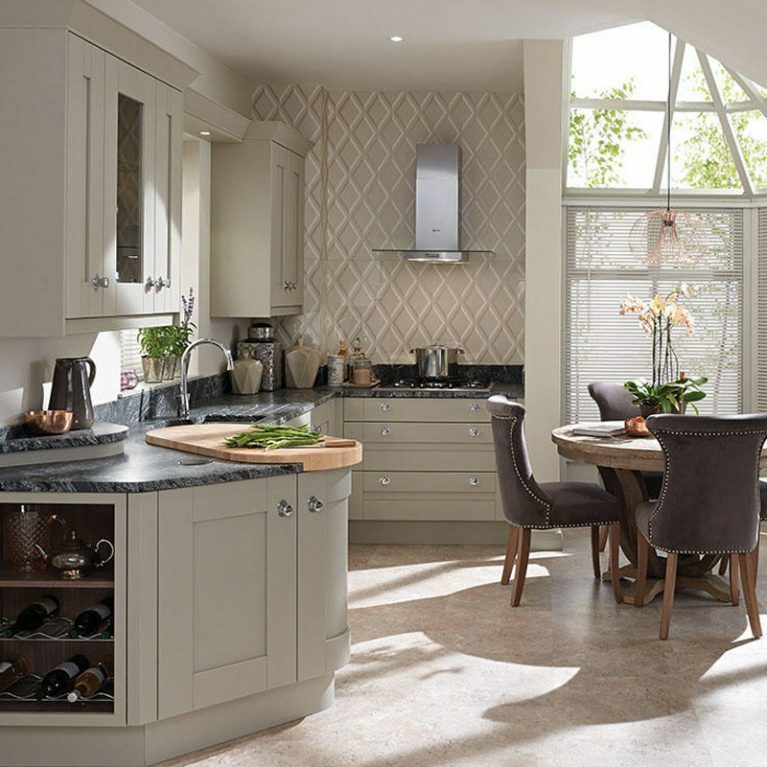 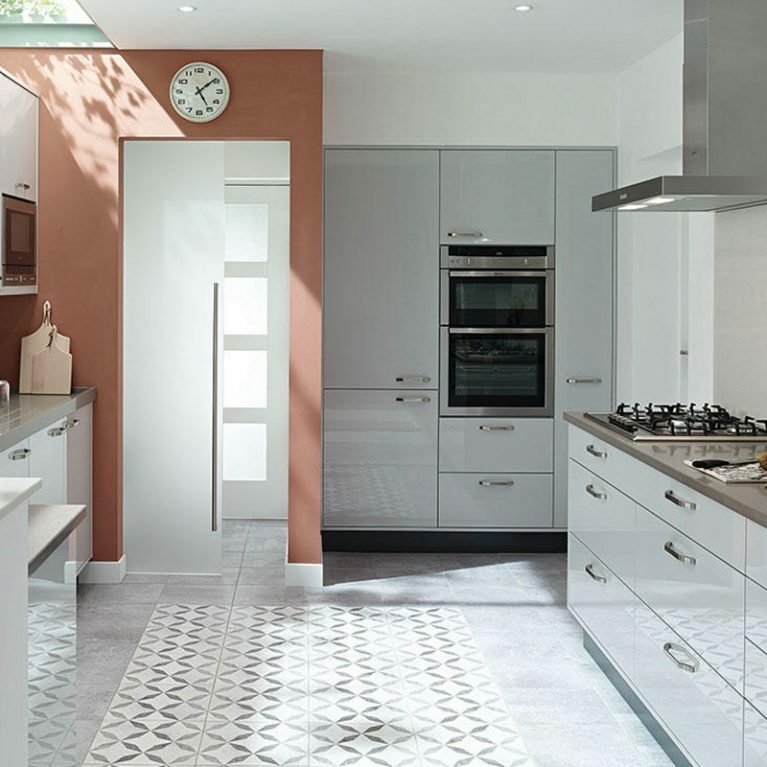 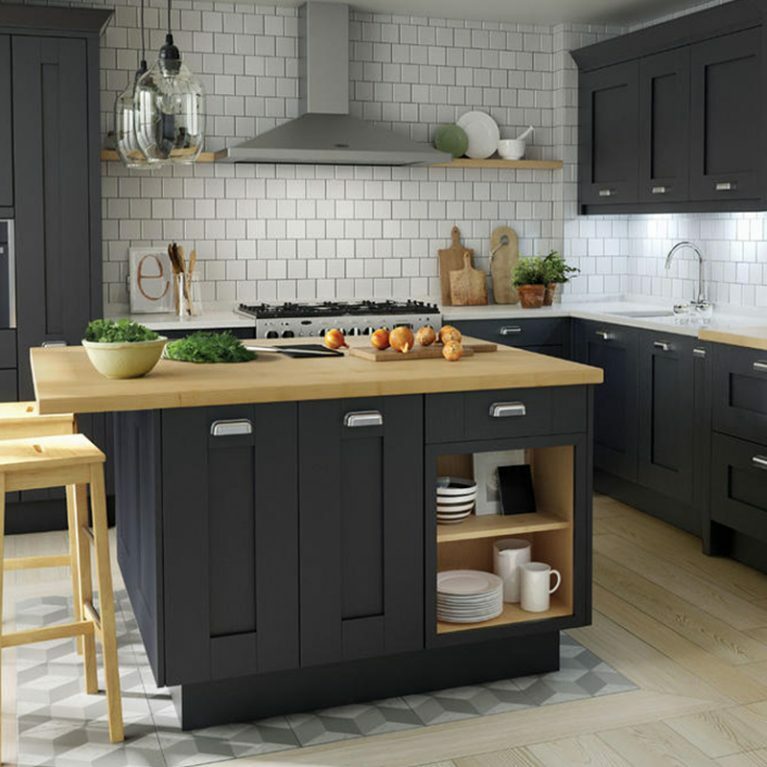 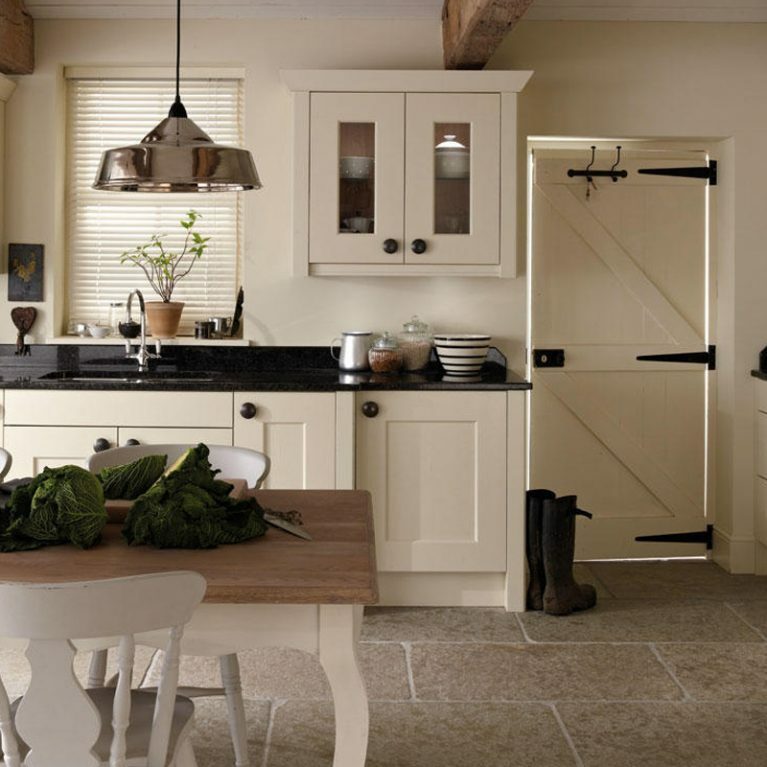 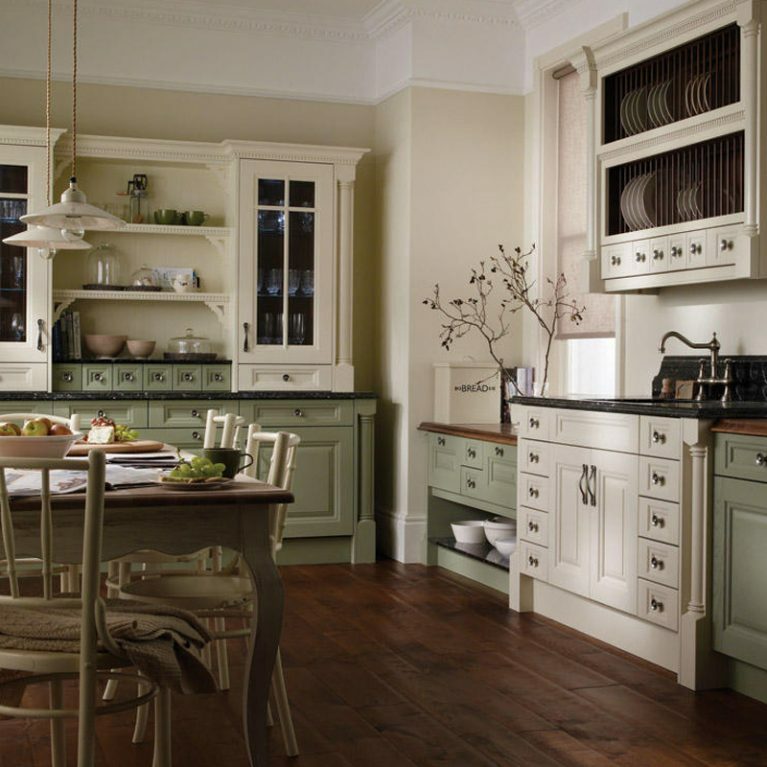 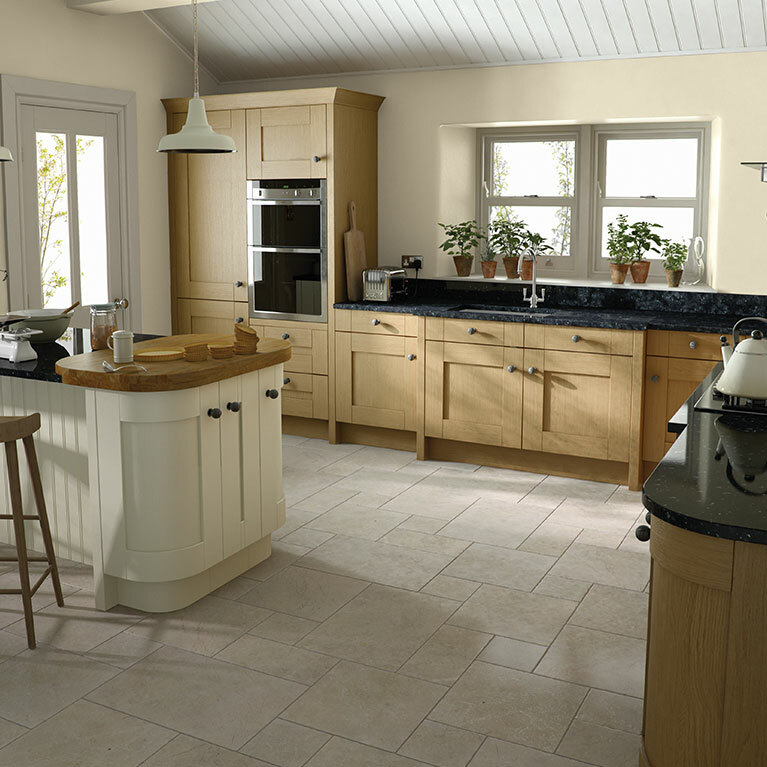 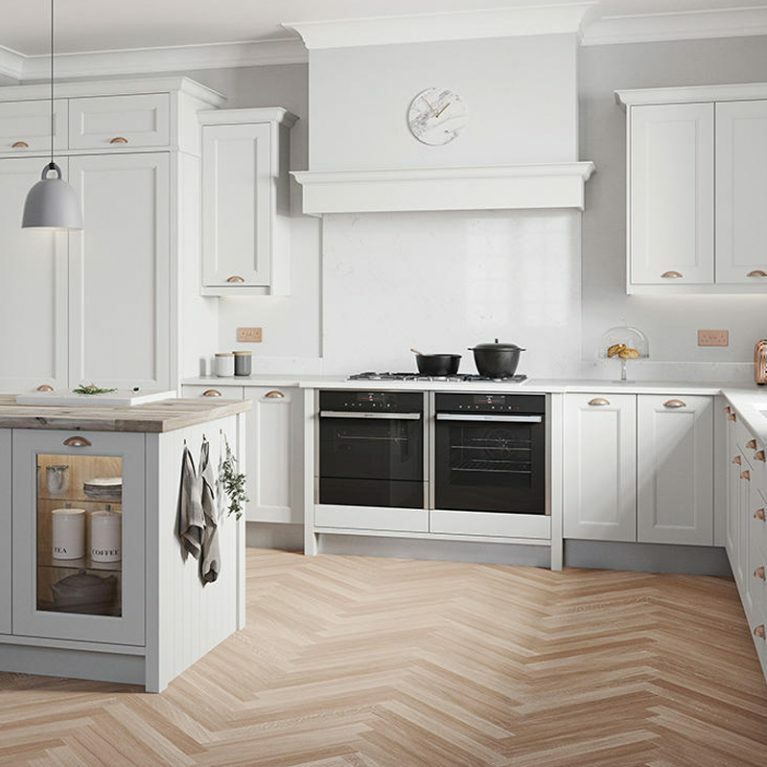 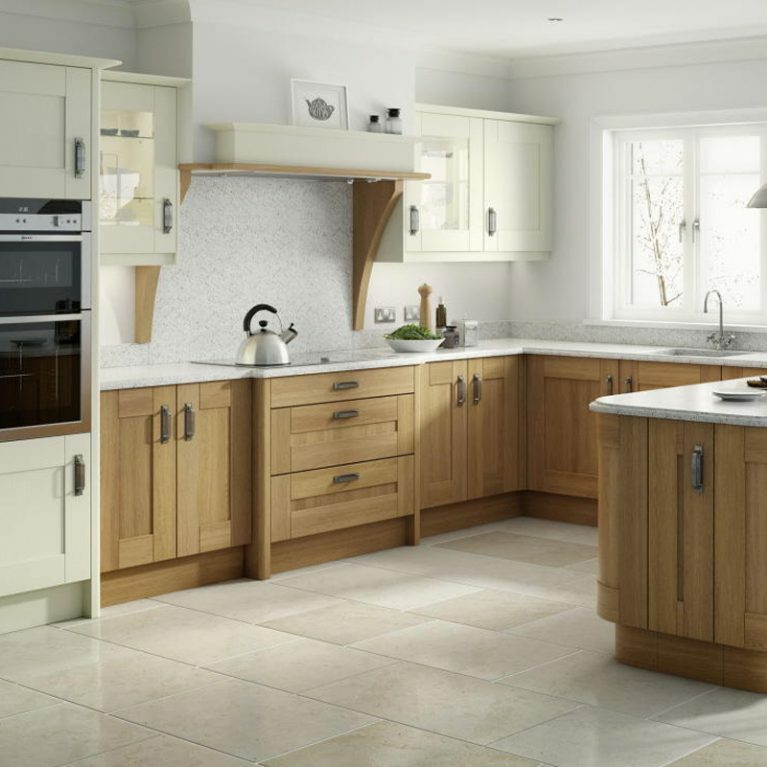 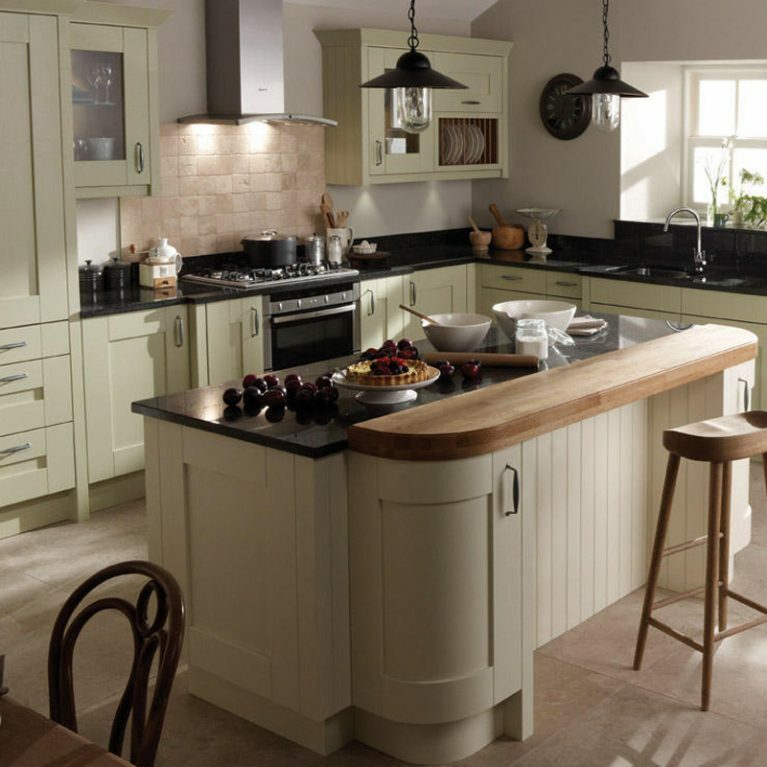 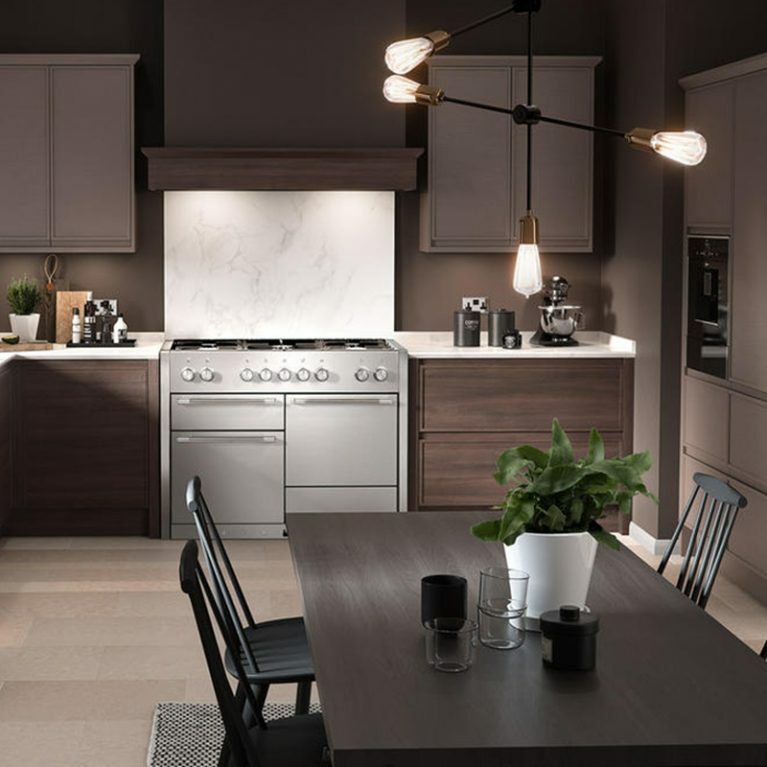 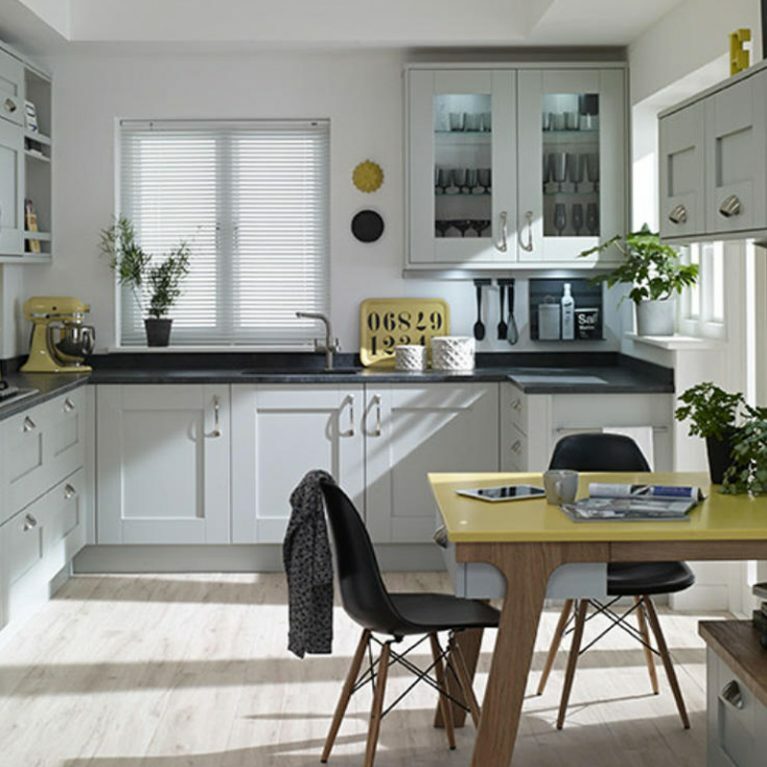 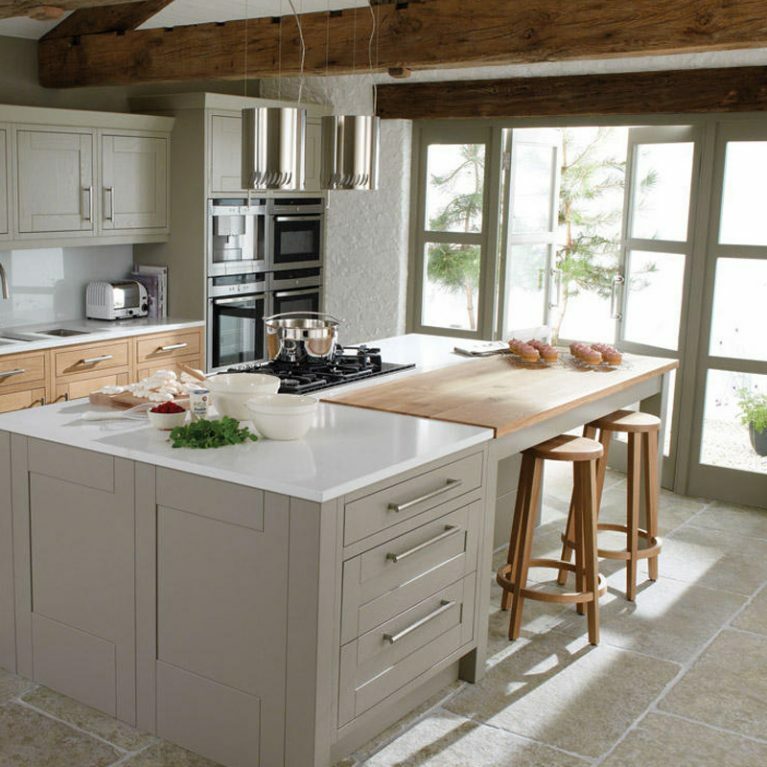 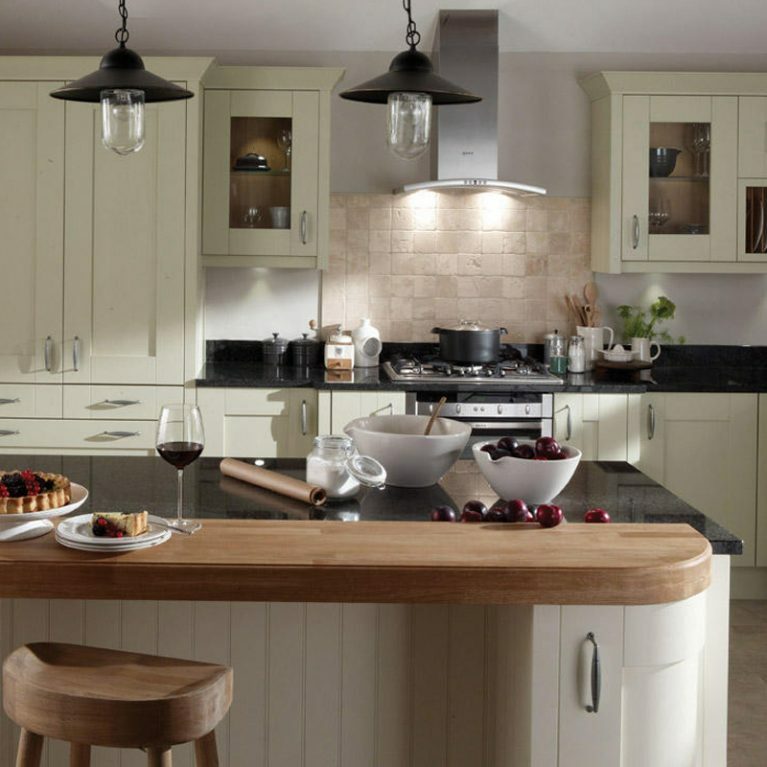 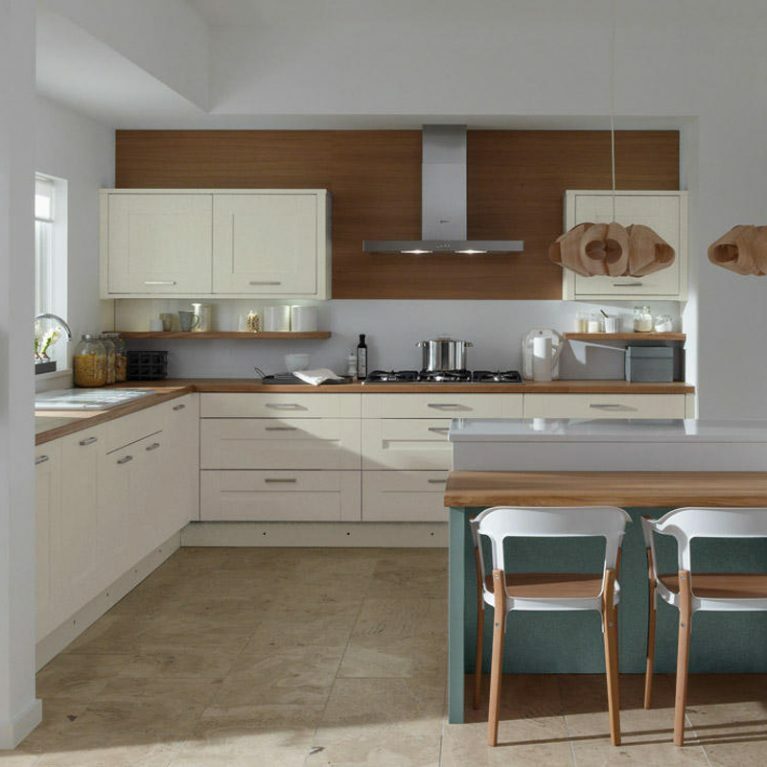 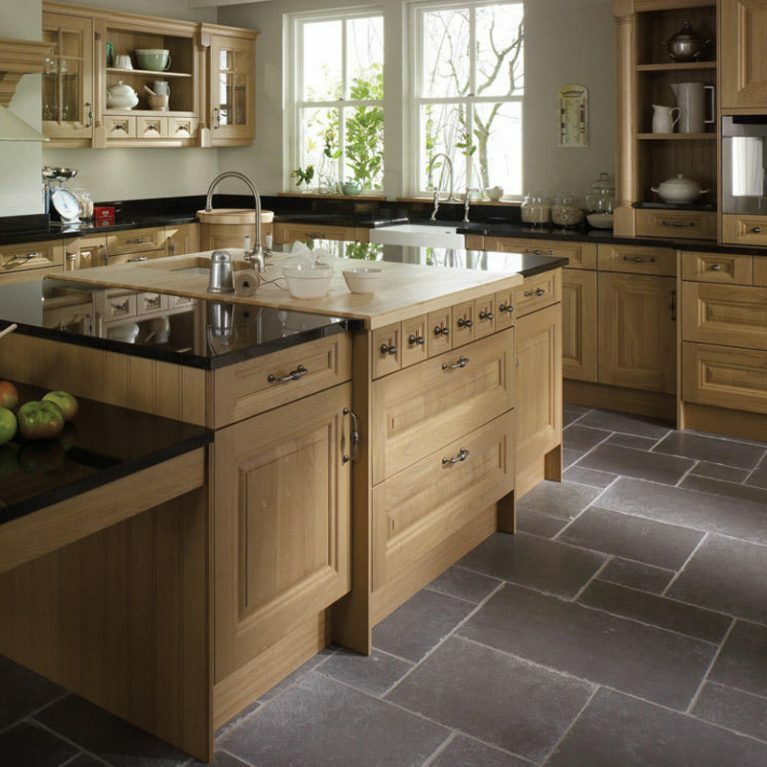 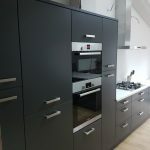 Whatever colour and design scheme you choose, rest assured that Number One Kitchens are the ones who can help you achieve your ultimate kitchen style and transform your home.